Showing 41 articles from July 24, 2013. 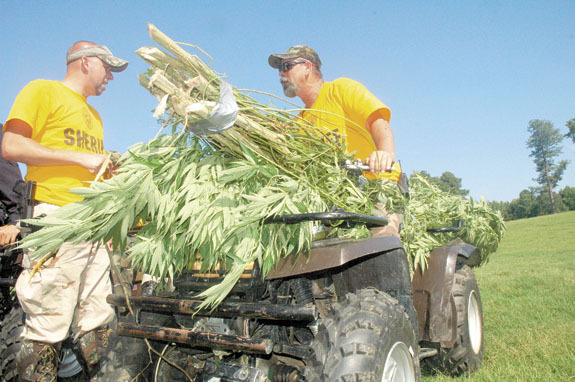 FRANKLIN COUNTY — On the last stop of the day, narcotics officers rolled four-wheelers to the edge of a thicket, rolling over knee-high brush and bushes. They spent the next 100 yards on foot, chopping through thick brush with machetes, propelled by the hopes of finding a narrow trail and guided by a low-flying helicopter, pointing the way to a stash of marijuana plants. Interviews of the five persons who have expressed an interest in serving on the Franklin County Board of Education will begin at the school boards Aug. 12 meeting, according to Gil Johnson, chair of the board. The board is currently short one at-large member following the recent resignation of long-time member Dannie Williams. The Franklin County Board of Education will meet at 6 p.m. tonight (Thursday) with the goal of appointing an interim superintendent to replace Eddie Ingram who recently retired to accept a position in South Carolina. The board had appointed veteran Franklin County school leader Tommy Piper as acting superintendent but, according to some sources, is considering going out-of-state to hire an interim superintendent to run the district while Ingram’s replacement is sought. That process has been estimated at between three and six months. Louisburg and Mitchners Crossroad fire crews and county EMS responded to this conflagration at 121 Harris Street in Louisburg. The fire was reported just before 2:30 p.m. on July 21. As units arrived, they found the home fully engulfed in flames. Because of the heat, additional units were called in from Bunn to help control the blaze. No injuries were reported, according to investigators. No one was inside when the fire started. Legislators were working to finalize a state budget on Wednesday that critics have said undercuts public education. While members of the General Assembly were working to finish off a budget that was unveiled just days before, Franklin County education leaders say it will be some time before they know the full ramifications of the state’s $20.6 billion budget. 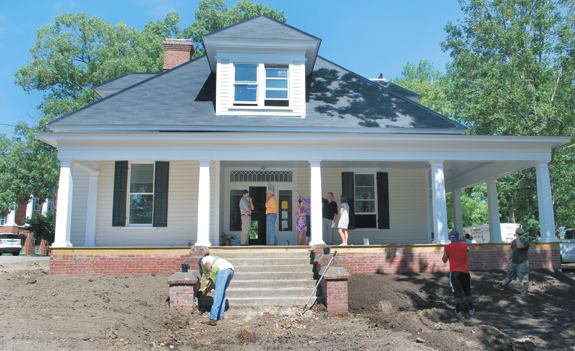 Louisburg College is inviting the community to a ribbon cutting and open house for the newly renovated E. Carroll Joyner Student Residence, formerly known as the Arthur Person House. The open house will begin with a ribbon cutting sponsored by the Greater Franklin County Chamber of Commerce at 5:15 p.m., Thursday, Aug. 1, and will include remarks from College president Mark La Branche. 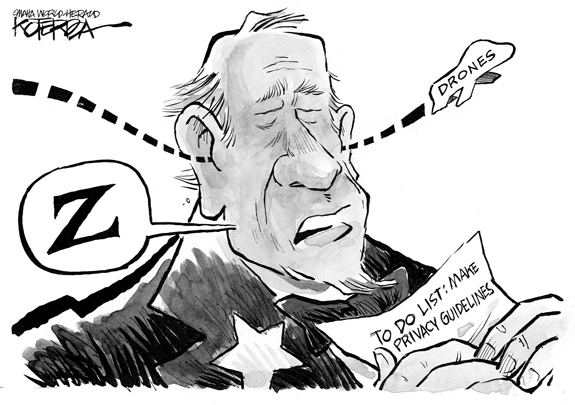 ‘Drop a Drone Day’ could be just what we need! It’s not a crime to steal an idea — especially if you improve on it! With that in mind, I read a story recently that might be a way for Franklin County — or any of its towns — to raise much-needed money and increase tourism. The idea came from a small town in Colorado — but don’t let that spoil it for you. Hidden, almost camouflaged, in a few words that were part of a news story on The Franklin Times’ website recently was a clue to a serious problem that Franklin County must address. The story was about a house fire in the Edward Best Community well east of Louisburg on N.C. 56. The relatively new home caught fire late one night and, fortunately, all the residents escaped without injury — but without much else. I’ll be completely and totally honest with you, I’m no mathematician. I say that to say this — I’m never going to be the person that totally understands the ramifications of a budget. However, earlier this week, I spent enough time in the woods, trapped by trees, bushes sticks and ragged earth to know the true impact of a machete. Used precisely, it can cut a much needed path. As of this writing, the Republicans have concluded negotiating with themselves on what they call tax reform. In my lexicon, “reform” implies improvement; this is certainly anything but. It is a return on investment to their financiers at the expense of the poor and middle class of this County. Essentially, the plan is a combination of the Flat Tax and Fair Tax; great names but terrible ideas. Economic development; why is no one running? This is the first in a series of columns I am going to offer that speak to economic development. 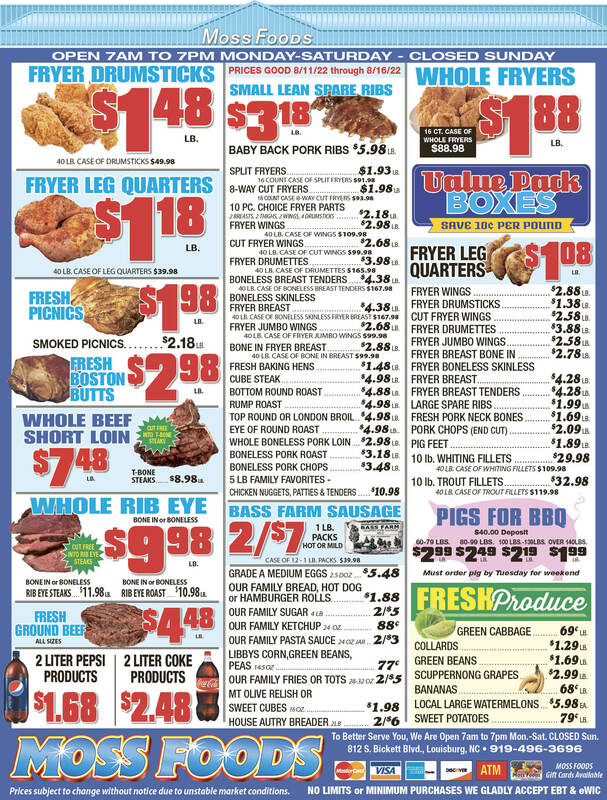 Not in the state or nationally, but right here in Franklin County. In fairness to all of those currently involved in this, and in recognition of work they have done, I want to say while much of what I offer may appear to be critical, it is not meant to reflect on anyone personally. Liberty over a progressive state? I propose liberty for all over a progressive state. It’s amazing to me how Mrs. Eaton can write letters to the editor in the name of maintaining our values as a progressive southern state. This is not about improving anything, it’s about being in control of you and I. 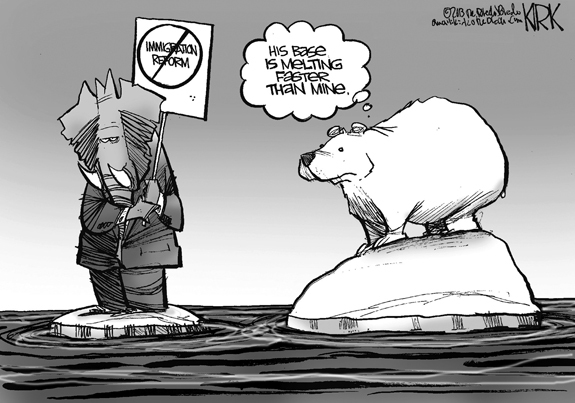 As 2016 looms, be very afraid! In his July 4th letter to the editor, Danny Pearce forgot to mention why Mencken wrote what you claim he said. You did not totally tell the truth. You added a few words of your own, such as downright fool and complete narcissistic moron. HENDERSON - Funeral services for Joseph C. “Joe” Perry, 74, who died Thursday, July 18, 2013, were held Tuesday, July 23, at Richardson Funeral Home in Louisburg, with the Rev. Timothy Walker officiating. Burial followed in the Cemetery on the Hill. YOUNGSVILLE —Funeral services for Lucille Debnam Black, 93, who died Monday, July 22, 2013, will be held at 1 p.m. Friday, July 26, at Old Liberty Missionary Baptist Church, with Dr. Charles A. Murrill Sr. officiating. Burial will follow in the church cemetery. NASHVILLE - Funeral services for Magdalean R. Hunter, 81, who died Monday, July 22, 2013, will be held Friday, July 26, at noon at Union Hill Baptist Church, with the Rev. Paul Davis officiating. Burial will follow in the Philadelphia Baptist Church cemetery. STRETCH PLAY. Bunn’s D.J. Daniel (left) lunges to field a throw and make a great play at first base during action at the Big Kahuna Baseball Tournament in Myrtle Beach, S.C.
BUNN -- Coach Larry McKeithan hoped to upgrade his Bunn Wildcats 12-Under Travel Team’s schedule this season -- with the hope that the Green and Gold would be ready for the campaign-ending Big Kahuna Tournament. 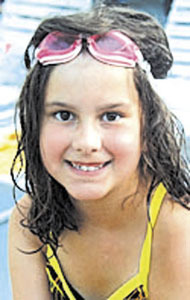 At the Big Kahuna, Bunn would be tangling with 18 high-level squads from the Midwest and the East Coast at the palatial Ripken Experience Youth Baseball Facility in Myrtle Beach, S.C.
KACI IN THE FIELD. 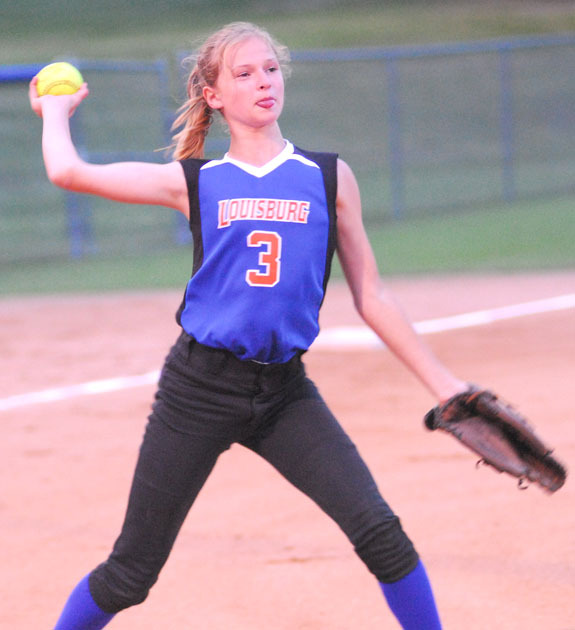 Kaci Roberson made all the plays at third base this season for the Louisburg All-Stars. 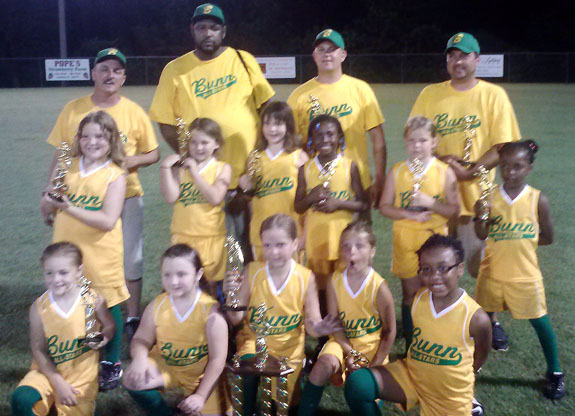 Louisburg won the Tar Heel 12-Under State Softball Tournament last weekend in Shelby. 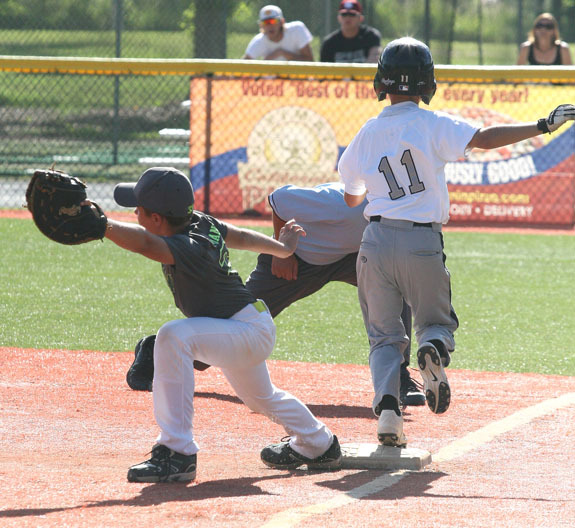 LOUISBURG -- Louisburg’s All-Stars hadn’t dropped a game through regular season and district tournament action. The All-Stars weren’t about to buck that trend when it mattered the most. Instead, Louisburg capped off an amazing campaign by claiming a bit of history at the Tar Heel 12-Under State Softball Tourney, which was held in Shelby. A STINGRAYS’ SISTER ACT. 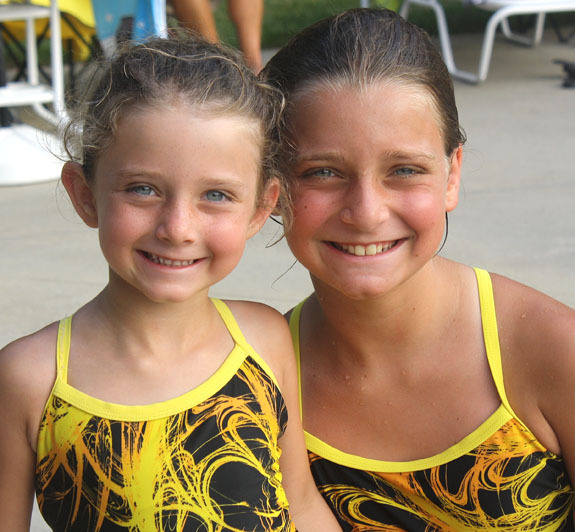 (L to R) Sisters Carly and Jessica Weathers have been outstanding performers in the pool this summer for the Town and Country Stingrays’ swim squad out of Louisburg. RALEIGH -- It didn’t take long for Town and County and Winchester to renew their long-time pool rivalry. Just three days after meeting for the first time this season, TC and Winchester tangled once again last Thursday in North Raleigh. Homestanding Winchester was a 294-162 winner over the Stingrays. BUNN -- Just when the coaching roulette wheeled appeared on the verge of stopping at Bunn High School, the announcement came that Benj Daniels has resigned as BHS’ girls basketball and soccer skipper. Daniels, 29, stepped down to take charge of the girls hoops program at Wake Forest High School. 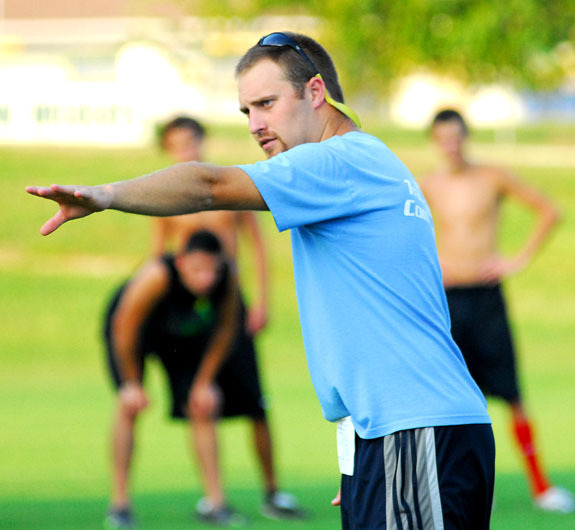 He will also oversee WF’s junior varsity boys soccer team. FRANKLINTON -- Following his tremendous senior season, Franklinton’s Jared Miller felt a tinge of disappointment when he didn’t earn a spot on the Class 2-A All-State Boys Soccer Team. 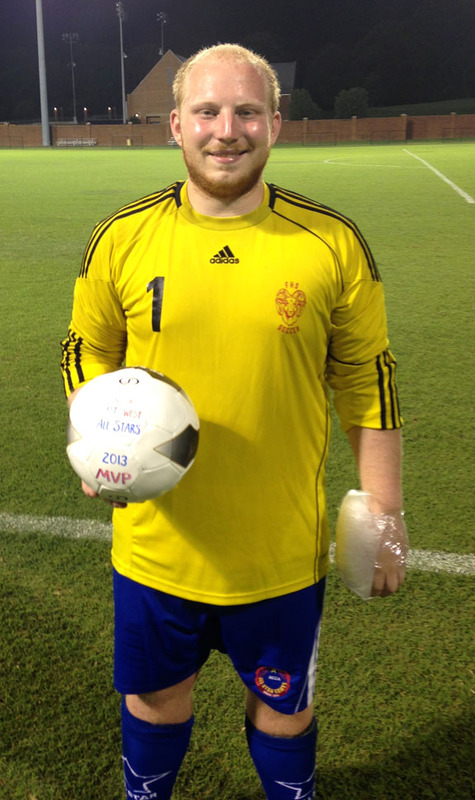 With that in mind, the always-competitive Miller took it upon himself to showcase his skills during Tuesday’s North Carolina East-West All-Star Game at the University of North Carolina-Greensboro Soccer Complex. ZEBULON -- The Carolina Mudcats scored five times in the last of the fourth to pull away for a 9-4 win over the Wilmington Blue Rocks on Monday night at Five County Stadium in a Class A Carolina League baseball contest. The Mudcats (15-14, 37-62) climbed above .500 for the first time in the second half by pounding out 15 hits. The Blue Rocks (14-16, 47-53) dropped their eighth straight. LOUISBURG -- There wasn’t any controversy involved with the selection of Louisburg’s 13-14 All-Star Baseball Team. Since Louisburg only fielded one squad during regular season action, that group simply stayed together to compete in area All-Star action. 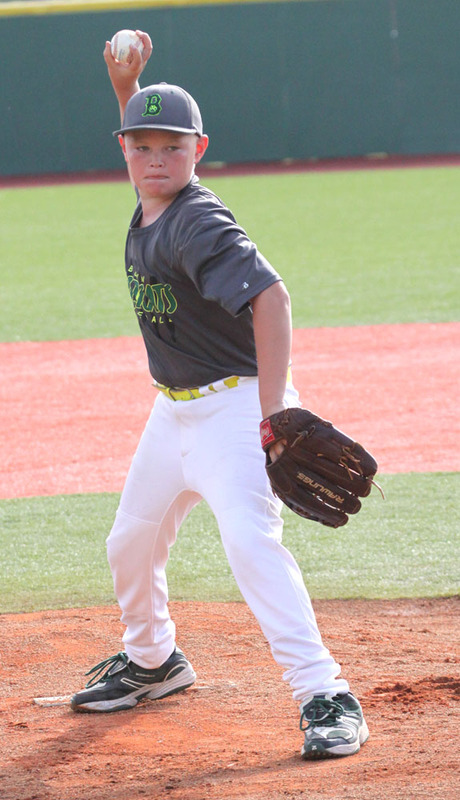 And the club, coached by Jon Dorsey, has done quite well over the past few weeks -- and Dorsey hopes the heroics will continue this week at the Tar Heel State Baseball Tournament in Williamston. BUNN -- A journey to the Tar Heel 8-Under State Tournament offered a chance at redemption for the Bunn All-Stars. 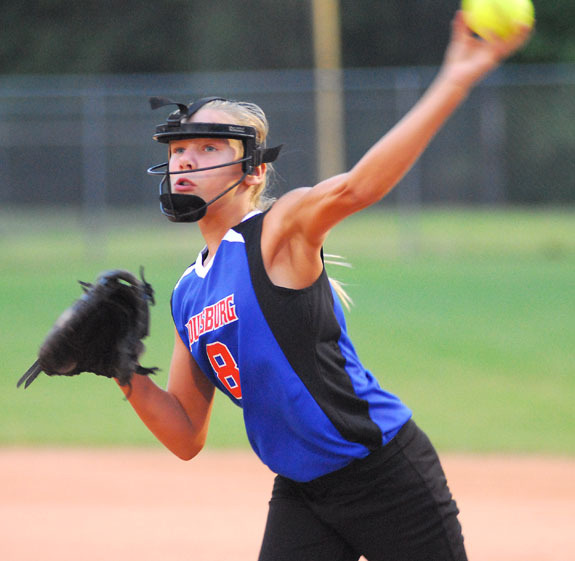 During District 6 Tourney action two weeks ago in Wendell, Bunn tangled with Rolesville twice, losing 11-9 in the semifinals and 13-12 in the championship contest. 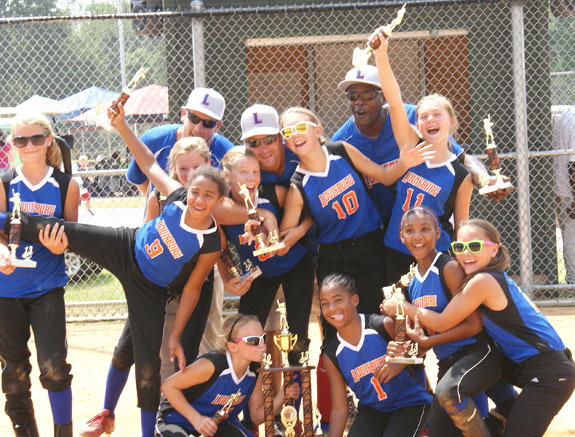 Members of the Louisburg All-Stars rejoice after claiming the championship at the Tar Heel 12-Under State Softball Tournament, which wrapped up Sunday afternoon in Shelby The team, coached by Shawn Schlafer, rolled through regular season, district and state tournament action without suffering a setback along the way. Ramsey Schlafer has been solid at first base this season for the Louisburg All-Stars. Louisburg claimed the crown at the Tar Heel 12-Under State Softball Tourney in Shelby. Bunn’s Luke Rice delivers a pitch toward home plate at the Big Kahuna Baseball Tournament in Myrtle Beach. Thus wrote a correspondent in The Franklin Times on March 7, 1913, just four days after the General Assembly ratified an act to incorporate the town. As the quote implies, the community, named for Green Walker Bunn, existed prior to its incorporation. Graduates of the Franklinton High School Class of 1951 were assembled recently due to the efforts of Lucy Fuller, at the Forks in Wake Forest for lunch. MYRTLE BEACH, S.C. — A Franklin County man remains jailed in South Carolina on charges that he sexually assaulted a 14-year-old girl alleged to be carrying his child. 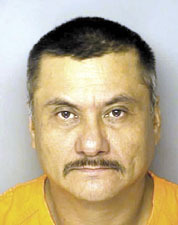 Horry County police charged Jose Jesus Cecena-Martinez with second degree criminal sexual conduct with a minor on July 14. 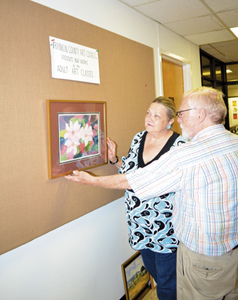 Local art instructor Billy Farmer helps one of his students, LuAnn Salzillo of Louisburg, make sure one of her watercolor paintings is hanging just right. Farmer’s students are holding an art exhibit at Louisburg town hall through the end of July. The exhibit, which lines the walls of the main entryway into the building, puts the spotlight on watercolor artwork by students who Farmer said were trying their hand at watercolors for the first time. The North Carolina Small Grain Growers Association (NCSGGA) has announced that an Assessment Referendum will take place Aug. 7. 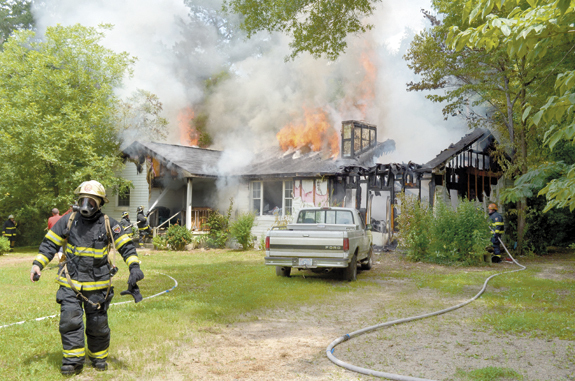 Kevin Stalling’s home, at 4203 N.C. 56 East, Louisburg, was hit by fire that appeared to start in a garage and quickly spread into the attic around 11 p.m. Thursday, July 18, according to fire officials. Justice Fire Chief Kelly Harris said that by the time firemen arrived, the blaze had already broken through the roof. CHAPEL HILL — A Youngsville man who sustained injuries in a house fire in December has died. Harold Williamson Jr. was 27. According to investigators, Williamson, who was blind, was at his Long Mill Road home the evening of Dec. 14 when an apparent grease fire began. 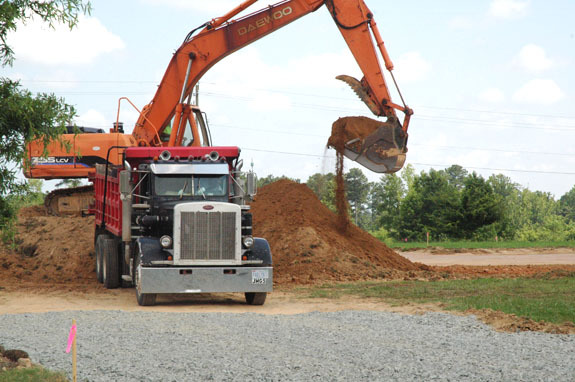 Site work has begun on an 11,92-square-foot, stand-alone building that will become part of the Louisburg Plaza development at the intersection of U.S. 401 and N.C. 56 West. According to Louisburg officials, the building will be “flex space” that will allow for four or five retail bay units. Although the project is to be on the “fast track,” no completion date was available. The shopping center is managed by GFD Management, Inc., of Cary.